Item # 279586 Stash Points: 3,897 (?) This is the number of points you get in The Zumiez Stash for purchasing this item. Stash points are redeemable for exclusive rewards only available to Zumiez Stash members. To redeem your points check out the rewards catalog on thestash.zumiez.com. 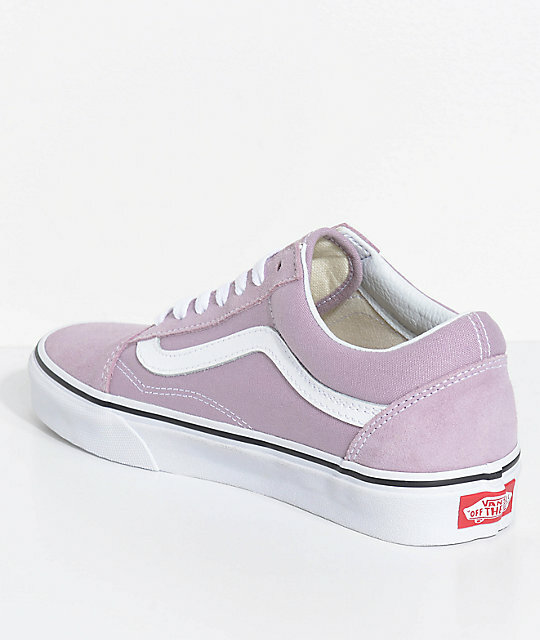 Debuted in 1977 the Old Skools were literally OFF THE WALL because these were Vans' first pair of skateboarding shoes with reinforced leather panels to increase durability and strength in high-abrasion areas. 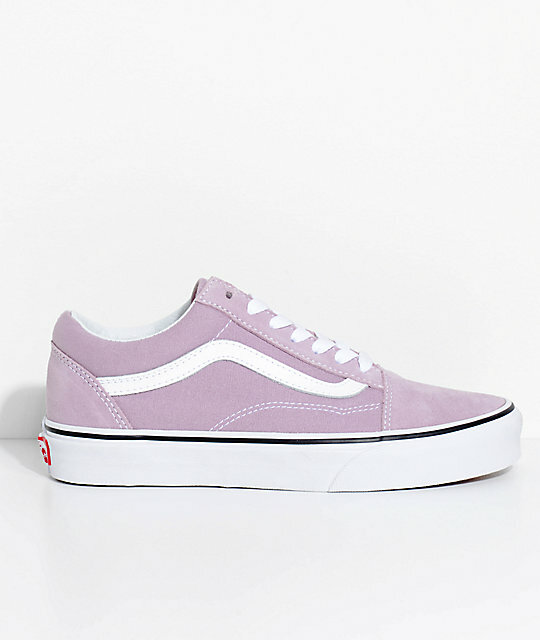 This edition of the Vans Old Skool Skate Shoes features a light purple canvas and suede exterior distinguished with an iconic Vans' Sidestripe for a timeless look. 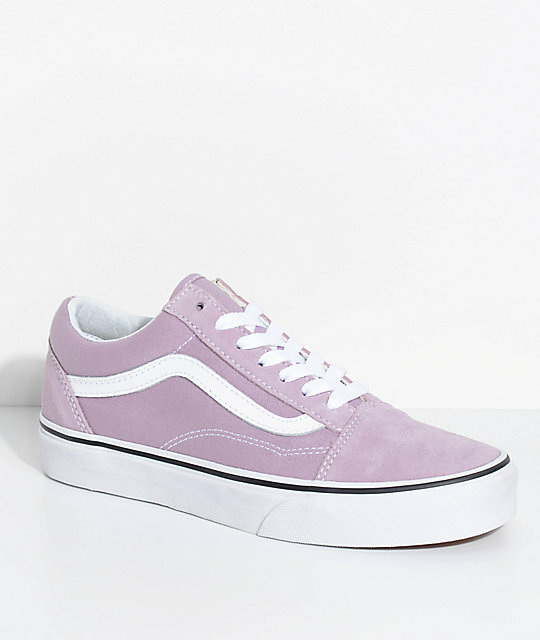 Old Skool Sea Fog & True White Skate Shoes from Vans. 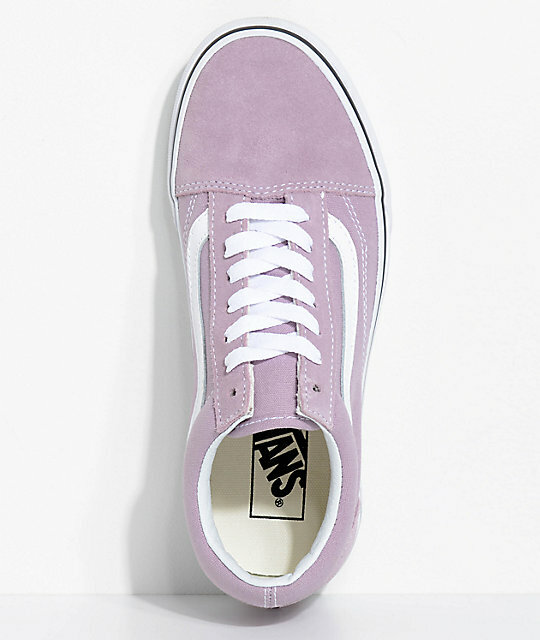 Lavender/light purple canvas upper w/ reinforced suede toe cap, eyelet trim & heel cup. 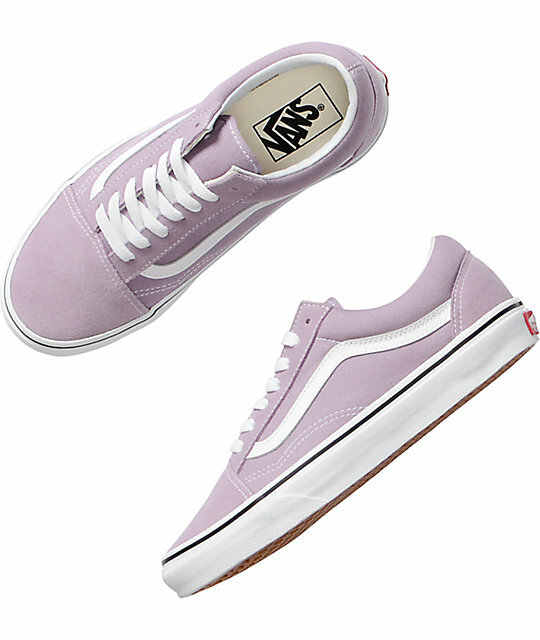 Vulcanized white rubber outsole for improved flexibility & board feel. Vans' signature waffle tread outsole for traction. Vans woven flag label at side & rubber stamp on heel.